Overcast, rain all day...perfect for staying in doors and writing. For those who are interested in the pros and cons of e-publishing, check out my interview along with Bryce Milligan, owner of Wings Press, in the San Antonio On-the-Town e-magazine website, Oct/Nov 11 issue (pp. 92-94). E-publishing has its own language with each distributor using different software to publish their books. This makes it challenging for authors like myself who use Microsoft Word to get their novels converted, and even more difficult for publishers such as Bryce to bring published works into the e-book world. This was an interesting interview. Sever the Darkness Available in eReader Form! Sever the Darkness, first in the Clay Aker Mystery Series, is now available as an ebook on the Amazon Kindle, Barnes and Noble, Sony eReader and Apple iBookstore! This is a new experience for me, but my distribution partner - BookBaby - made it easy. They are adding Kobo, Gardner's, Baker and Taylor, and other e-distributors as an outlet for this novel as well. Murder, romance, racial unrest, environmental concerns, tourism, and oil interests swirl along the Guadalupe River in this suspenseful novel set in the Texas Hill Country. Sent by his editor to cover the increasing tension between conservationists and developers, journalist Clay Aker unexpectedly encounters Mary Frances Wiley, a classmate now operating a canoe livery and campground on the river. Drought conditions has lowered visitation and her revenue stream cannot support payments on a pending bank loan. She is battling to keep her land from being sold to oil interests bent on using pipeline right-of-way to pump oil across the fragile Hill County. The physical attraction between Clay and Mary Frances causes sexual tension throughout the novel....we all know a good book has to have a little romance thrown in, and this is it for Sever the Darkness. I had a very successful book signing at the Helotes Creek Winery in September. 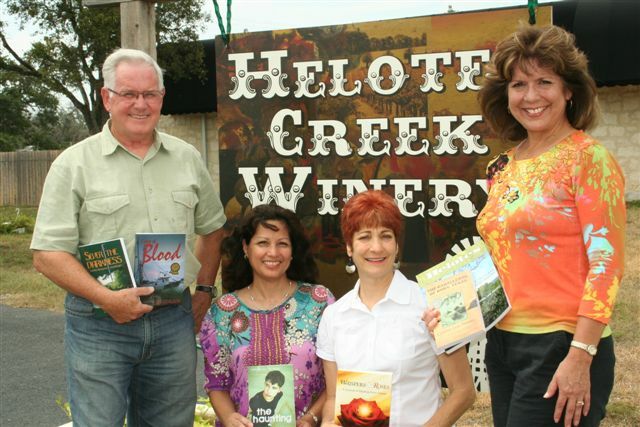 Four Helotes authors signed their books on Sat, September 4th, from 3 to 6 p.m. at the winery, located at14237 Old Bandera Road, and held in conjunction with Old Town Market Days (over 80 vendors). The Winery provided a free mini-bottle of wine with each author's label for each book purchased. Music and bar-b-que followed. The four of us sold a lot of books! 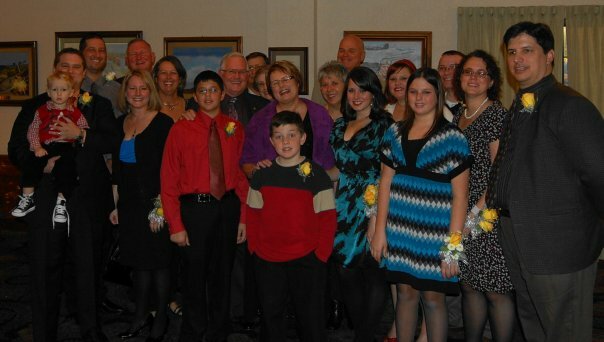 Color of Blood Wins Literary Award! Color of Blood received Honorable Mention in the 2009 Reader Views Literary Awards for Fiction (Mystery/Thriller/Suspense). Reader Views consist of volunteer readers who judge award entries in numerous genres. They are not paid for their reviews. Color of Blood was published in 2008 by Eakin Press and is the second novel in the Clay Aker Mystery Series. I am overjoyed that my work was selected for recognition given the large numbers of this genre written each year.